In 2014 there were 298,699 reported motor vehicle accidents in the State of Michigan. Of that number 71,378 people were injured and 878 people were killed. Perhaps you were one of the lucky ones who were neither injured or suffered the death of a loved one. 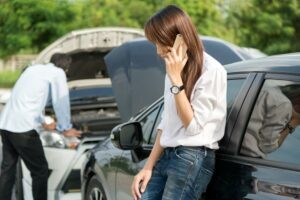 For you, a motor vehicle accident may have been a simple matter of calling your insurance company to have your vehicle repaired. For the rest of the victims it was the beginning of a long road of financial and physical suffering in order to fight back and regain the ground they lost because of the negligence of another person. The attorneys at Wigod & Falzon are here to assist those who were not so lucky to have only suffered car damage. We are here to guide the injured victims of automobile accidents and the families of love one’s lost, through the chaos of the Michigan No-Fault Law. Since 1974 when it was first put into practice, the government of the State of Michigan has spent virtually zero dollars and zero time educating its citizens on what is known as the Michigan No-Fault Law. In fact, most people believe that the term “no-fault” indicates that one can no longer sue for automobile accident cases. Nothing could be further from the truth. No Fault is a complicated and comprehensive legislative act that can be a great tool in aiding in the recovery of the injured or a frustrating experience at the hands of the insurance companies to control it. The Michigan no fault attorneys at Wigod & Falzon know of the Michigan No-Fault Law. They know how insurance companies manipulated it for their own purposes, and how to fight for the rights of every injured person who are entitled to its benefits. Call us now for a free consultation and advice on how to maximize Michigan No-Fault for your benefit.